Affinity Trust supports over 1,000 people with learning disabilities across England and Scotland, enabling them to live as independently as possible. We have a track record of supporting people with more complex needs including autism, mental health needs, and profound and multiple learning disabilities. Set up in 1991, we have grown steadily ever since. Behind this success is our belief that everyone with a learning disability has the right to an active and fulfilling life. 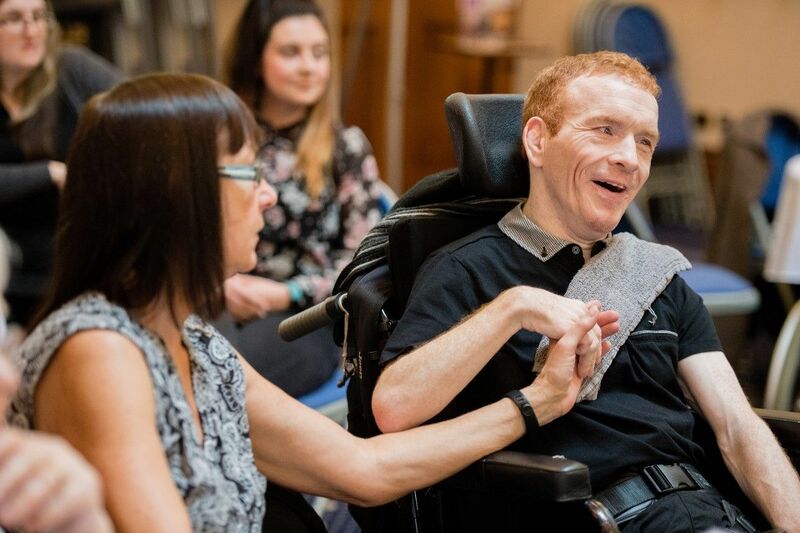 Whether enabling people to live in their own homes, giving opportunities to enjoy community-based activities, or supporting people into work, we aim to ensure that those we support can live life to the full. We support people with a range of needs, from those who need just a few hours a week to people who require round-the-clock support. Many of the people we support used to live in institutional settings, like hospitals. We have worked with them to improve their independence and quality of life. Supported living is our preferred model of support. We also deliver outreach, opportunities and residential services. We are regulated by the Care Quality Commission in England and the Care Inspectorate in Scotland. We are a company limited by guarantee and are registered under the Companies Act 1985. Our company number is 06893564. Originally known as TACT (Thames and Chiltern Trust), Affinity Trust was set up in 1991, celebrating its 25th birthday in 2016.